A former elite AFL footballer, Michael Roberts is today a respected sports journalist and one of the most popular and versatile master of ceremonies for a range of corporate and sporting events. The son of St Kilda Brownlow medallist and club legend Neil Roberts, Michael played for St. Kilda, Richmond and Fitzroy between 1978 and 1987 and represented Victoria against Western Australia in State of Origin football in 1981. He combined his football life with 10 years of modelling (including six years on Sale of the Century) before starting a sports media career in 1988 at Channel Seven (HSV 7) as a sports journalist, producer and presenter. Michael covered numerous events, but is best known for his work on AFL Football, the Australian Open tennis telecasts and key stories for Sportsworld. In 1993, Michael joined Channel Nine (GTV 9) as a sports journalist for the top rating National Nine News. Feature stories followed for Nine’s Wide World of Sports, reports for The Sunday Footy Show and he hosted his own live sports show, Sports Scene at Crown Casino. Roberts also covered the Olympic Games in Sydney, the Commonwealth Games in Kuala Lumpur and Melbourne and the Asian Games in Doha, Qatar. He has now branched out to write and produce documentaries including 100 Years of Australian Exploration of the Antarctic (2007) followed by several unique stories on Australia from 2008 to 2010. Both series appeared on Channel 10 and the Discovery International and Australia channels. 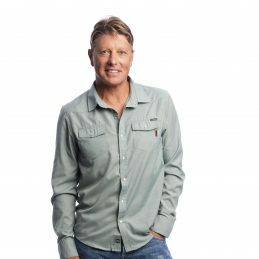 In 2002, Michael was appointed host of Nine’s NRL Rugby League coverage in Melbourne, headed the Surf Titles from Bells Beach, Torquay and the National Surf Lifesaving Championships from NSW and Queensland, before moving to the AFL Football team as a panelist and boundary rider, combining that with the Triple M Radio football live broadcast line-up. Michael is a founding member and president of the Crux Club, a major contributor to the Challenge Foundation for children with cancer and the Trevor Barker Foundation, a position he has held for over 20 years. He is also enormously proud to hold ambassador roles with the Alannah Madeline Foundation and E.J. Whitten Foundation, Mercedes Benz Melbourne, Jayco, Melbourne Storm NRL and the Foster’s Group. His hobbies include travelling, cycling (he heads the high profile Jayco Flyers cycling team to raise money for several charities), golf and anything involving surf and snow.